I had been trying to find her for the past few years. I asked all the local Karaites. I emailed the Karaites in Israel. 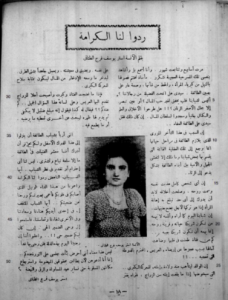 Still, no one knew Esther Yusuf Farag Al-Tanani or what became of her. And then last week I received an email (unrelated to my inquiries) informing me that someone by that (maiden) name had just passed away. The reason I had been searching for her is due to Al-Tanani’s status as a strong advocate for the dignity of women in the Karaite Jewish community.